So, we now should have a map where you go somewhere via two different places. The simplest way you could make a gamebook from this map is by giving one paragraph to each location. If there is more than one route from one place to another, then that is where you have a choice in the paragraph. Here is the simple map that I had from my journey. It has four locations, so the simplest gamebook that we can make from this is a four paragraph gamebook, one paragraph per location. There is one choice which you have at the beginning - choosing between the farm and the main road. In this plan, all of the choices involve wanting to go somewhere. Here is my map in gamebook form. As you cycle down the main road, you are overtaken by several fast cars. It is a nice sunny day, but you have a very noisy journey as cars are always overtaking you. Eventually, you get to a village. Turn to 4. As you cycle down the country lane, you do not see a soul. It is a lovely sunny day and you have some nice views of a countryside. You eventually come to a farm. You cycle through it. As you do, you see a combine harvester. Eventually, you get to the village. You reach the small village where you find a quiet park and read a book about knights. After two very relaxing hours, you get back on your bike and head home for lunch. So how can we make this map more complicated and build upon it? The most obvious way would be to add some more locations to this map. I'll add my friend's house to this map. I will get there via a pleasant country lane. That will add two paragraphs to my adventure. So let's try to add another location to our adventure. You can be creative. Maybe you want the location to be reachable from another place other than the start (for example I could have it where you reach your friend's house from the farm) or you could have your third location also reach the destination (so I could get to the village from my friend's house.) It's up to you. You leave the house and get on your cycle. You get to the end of the road and you can turn one of two ways. You could head towards the main road (turn to 2) or you could go down the country road, towards a farm (turn to 3.) Alternatively, you could go to your friend's house via a country lane. If you do this, turn to 5. You get on your bike and start riding down the country lane. It is a very pleasant and quiet journey. Soon, you are at your friend's house. Turn to 6. You enjoy a nice morning with your friend, playing a Fabled Lands RPG quest and taking about the latest RPG news. Eventually, you have to leave so you get back on your bike and go home for lunch. OK. We now have a six paragraph adventure, but we can still make it more elaborate. At the moment, each location only has one paragraph dedicated to it, but we could add more. Do you want to buy something from the village shop or have a nap? Do you want to play Fabled Lands with your friend or Advanced Fighting Fantasy? This is where maps and flow diagrams cross over. 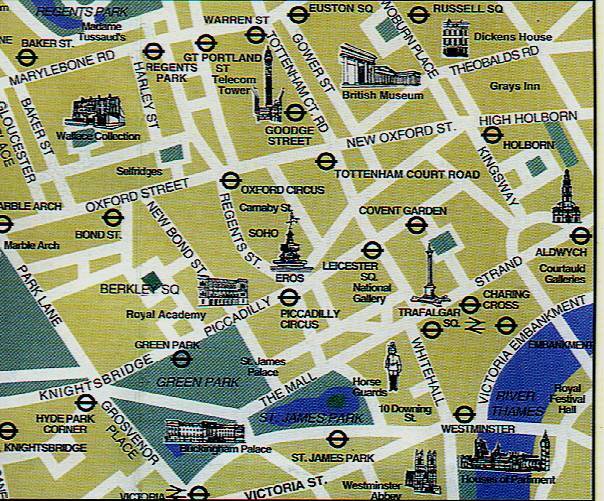 Think about looking at tourist maps on holiday. Your first decision is where you want to go to. Your next decision is what you will do when you get there. For example, if you go to the British Museum in London, will you look at the Ancient Egyptian stuff or the medieval stuff? The red boxes contain decisions that you can take at your friend's house or the village. The black boxes still contain locations that I could go to. You can then take a route back to your house when you get there and make your decision. Each decision will require two new paragraphs. You now need to write paragraphs for your new decisions. My new gamebook will look like this. As you cycle down the country lane, you do not see a soul. It is a lovely sunny day and you have some nice views of a countryside. You eventually come to a farm. You cycle through it. As you do, you see a combine harvester. Eventually, you get to the village. Turn to 4. You reach the small village where you find a quiet park and read a book about knights. Soon you are feeling hungry and drowsy. If you have a nap, turn to 7. If you go to the shop to buy some food, turn to 8. You have a very pleasant nap on a nice bench. When you wake up, you feel a lot better. You decide to get back on your bike and go home. Turn to 11. You go into a local shop and buy a chocolate bar. After enjoying the chocolate, you get back on your bike and head home. Turn to 11. You roll up a warrior and tackle a tribe of rat men under the sewers of Yellowport. You manage to kill the Rat king. After a good morning of Role playing, you decide to get back on your bike and go home. Turn to 11. You roll up a character and tackle the wishing well adventure. You manage to kill an evil necromancer and steal his treasure. After a good morning role playing, you get back on your bike and go home. Turn to 11. Eventually you arrive home. You decide that it would be a good time to have some lunch, so you find something to eat. So there we go. We should now have a gamebook from a map which has a few locations and some decisions that you need to make at one or two of the locations. You gamebook should be around 5-15 paragraphs now, depending on how elaborate you decided to make it. If you have not used the flow diagram method or the just write it! method, you need to read about them first. To improve on the map method, turn to2a.